The jumbo jet changed how we travel, and where we travel, forever. The huge airplane allowed people to visit far-flung places at prices never dreamed of a decade before. Some would say the democratization of air travel led to the surge in budget travel, and hence the birth of the backpacker. This new breed of young cost-conscious traveler expected to go places off the beaten track, and lugging a big suitcase wasn’t going to happen. So the backpackers were born, young travelers who packed all they would need for an extended vacation in a voluminous bag strapped to their back. Over the years these bags have become bigger, lighter and more weatherproof. Being a backpacker also means you have to choose carefully what you carry, as it all has to go into a limited space with a limited weight. We’re going to look at some of the essentials needed for backpacking. First off is the backpack itself, and what you need to think about before splashing out to buy one. Nobody wants to cart around a bulky and heavy bag. If you’re planning a short vacation or a long round-the-world adventure, you may have to pick up and carry your bag every day, so getting one that has enough space and is comfortable is imperative. A backpack that is too big will mean you will pack more than you need, so think hard about what are the essentials you need for your journey, and don’t pack any extra items. Remember, even if you’re planning a very long trip, you don’t need a huge backpack, one big enough for twelve days can see you through twelve months if you pack it correctly. So how big is big enough? If you’re backpacking, you tend to want to travel light, so most seasoned travelers looking for a pack that has a capacity between 35 and 50 liters. 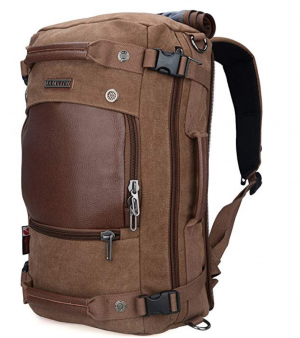 Often it’s a good idea to carry along a day pack as well, which can have a capacity of around 15 to 25 liters. So in total you’ll have a total capacity of about 50 to 75 liters. This is more than enough space if the backpack is packed correctly, and you choose only the essentials. Remember, you’ll be carrying this pack around on your back a lot of the time, so how it fits is very important. Backpacks come in varying sizes, and some are unisex, while others are specifically designed for women. Most will have adjustable torso options. The backpack should match your body shape and height. If you have a small stature, consider those made for teens or young adults. Try the backpack and see how the straps sit on your shoulders, and if they rub uncomfortably against your arms. Make sure the hip belt actually aligns to your hips and most importantly is the pack the right size for you. There is a lot of debate in the backpacking community about the benefits of a top loading or side panel travel pack. 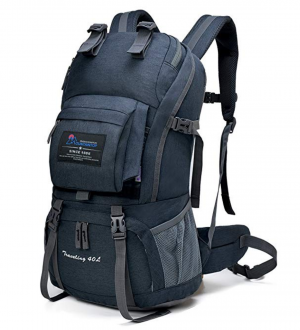 Top loading backpacks usually come with lots of organizer compartments and have exterior mesh pockets, straps, and ties to attach odds and ends. The pockets allow for easy access, however the more you stuff into the outer pockets the less space you have inside. Loading from the top also makes it difficult to locate things inside. Often you have to unload the bag completely to find an item. Top loaders are likely only to use a pull-tie closure, which means locking the contents is not as easy as with a zippered bag. Side panel backpacks are more like a conventional suitcase in that they open with a zipper. This makes it much more convenient when looking for something stowed inside. The security on side loaders is much greater as the zipper can be locked, which keeps your belongings secure when you’re traveling. 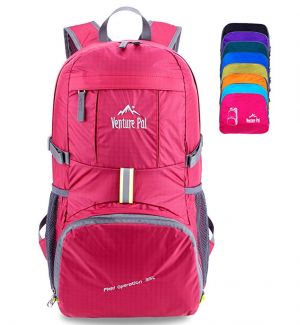 Experienced backpackers say you need to buy packing cubes to help organize your belongings inside the backpack. This can work in your favor, as these cubes act like drawers, and each can hold specific items, making the side panel backpack that much more convenient. It is most important that any backpack you use is made with water-resistant materials. The last thing you want is all your belongings to get soaked if you get caught in a sudden downpour. Most backpacks come with an internal framework, so don’t be fooled by any advertising blurb about the framing. However, don’t buy a bag with an external frame. The shoulder harness needs to have padded straps to adjust the fit and feel of the backpack, so it fits evenly over your shoulders. Try on the backpack to ensure the hip belt properly sits on your hips as this is where the weight needs to be taken not your back. Compression straps are great for holding things on the outside of the pack such as a wet towel, or other items you may need quickly. Other ties and drawstrings are handy to attach items, such a sleeping bag or a bag for wet clothes or laundry. Some backpacks come with a compartment for a sleeping bag, and straps to secure a sleeping mat or a small tent to the pack. The most important feature you need to ensure is that the backpack has proper ventilation, so that your back will not get too sweaty when carrying it. As backpacks are incredibly portable, it’s no wonder they often get stolen. 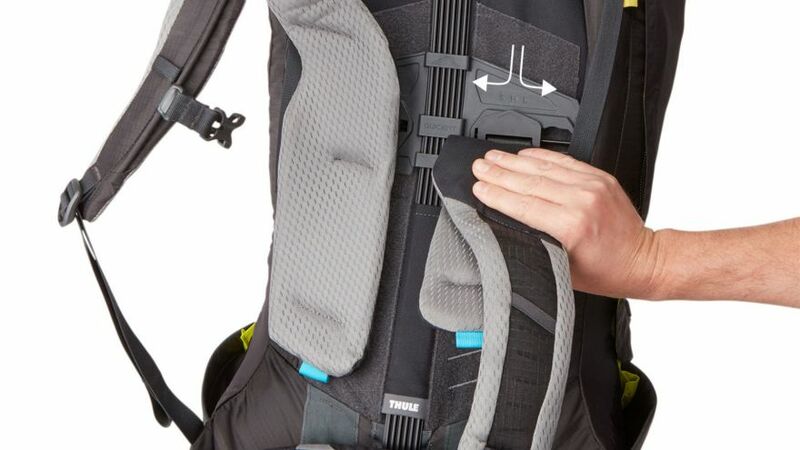 All you can do is minimize the risk, by taking some simple steps, and that’s why a side panel pack with a locked zipper is probably the best deterrent. Never leave any important or valuable items in your backpack, keep those in a daypack that stays by your side at all times. Backpacks are not cheap. You have to think about it as your home, where you hold all your belongings on a long trip. So, in that case, it needs to be as secure and durable as possible. It’s going to get a lot of hard treatment from baggage handlers along the way, and you want it to stand up to any weather. Once you’ve purchased your backpack, you have to give it a trial run to see if you’ve made the right choice. Fill it up with everything you think you will need on your trip. See if you’re packing too much stuff, and if you can carry the weight, it may have to consider a different bag. Take it out for a test drive once you’ve filled it up with what you think is the essentials. Can you pick it up? Can you carry it on your back and walk for fifteen minutes comfortably. You should not be carrying more than 15 kilograms, for most people something between 10 and 13kg is manageable. The basics of clothes and travel documents are pretty much a given when it comes to packing for your backpacking trip, but some other things can be very handy when you venture to new destinations and off the beaten track. 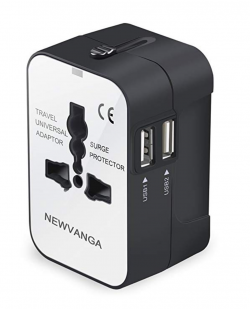 If you’re heading to anywhere abroad for a vacation, you’re going to need an international electrical plug adapter. Most countries have their own system of sockets, and a multi-purpose adapter is essential. Also, make sure that any chargers you have for devices run on both the 110V and 240V systems commonplace around the world. If you have a number of devices with you, then a small surge-proof extension lead will allow the charging of multiple devices at the same time, and protect them from any voltage problems that may cause damage. Part of the joy of traveling is creating memories, and doing that we love taking pictures. A lot of people like to carry a laptop around with them for internet access and as a place to keep their photo collection. However, laptops are tempting for thieves, and hard drives can fail at the most inopportune moments. That’s why it’s always a good idea to keep photos and video on a portable hard drive, or on memory cards or USB sticks. Memory cards and USB sticks take up very little room and can store massive amounts of data. Practically everyone carries around a smartphone these days, as it is more than just a cellphone, it’s become the handheld device we never leave home without. That said, they can be power hungry beasts, and the last thing you want is to run out of juice, as you know that will be the time you really need to use it. That’s why one of the essentials we recommend putting in your backpack is a lightweight power bank to recharge your cell phone. 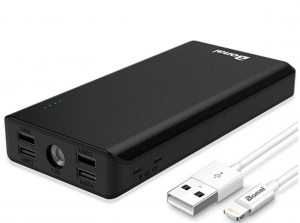 These devices can store enough power to recharge an iPhone half a dozen times, which means you’ll never be without power if you keep it correctly topped up. If you’re heading out into the countryside, and away from big cities, it’s always worthwhile packing a small first aid kit to be on the safe side. The kit does not have to include a lot of things, but just a few necessities you need if you get a small injury that requires immediate treatment. As we mentioned earlier when talking about backpacks, security, when you’re traveling, is critical. Reputable hostels will have security lockers for travelers who are staying there. Not all will provide a lock, so it’s advisable to take one with you. A combination lock is probably the safest, as you won’t have to worry about losing or having the key stolen. A small combination lock can also be used to secure a side panel opening backpack. Nobody can pack enough clothes for an extended time away. At some point in your journey you’re going to have to clean your clothes. If you’re in a city, then you’ll probably be able to find a launderette, but out in the countryside, you may have to get back to basics and hand wash in a hostel basin or even a stream or lake. The essential washing kit can include some travel soap, but more importantly, a plug for the wash basin in the hostel and a compact travel clothes line so everything can dry quickly. 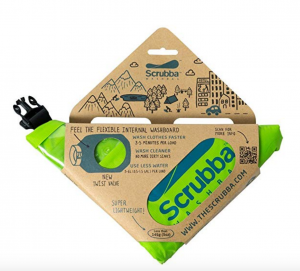 The ‘Scrubba’ bag is a great little tool that turns into a sort of washing machine with a bit of elbow grease. Lots of experience backpackers swear by it. If you’re heading out on a long trip taking in a number of countries, then it’s always a wise precaution to pack some extra passport photos. You never know when you might have to provide a picture for a visa application or some such. Getting caught without them could mean lots of wasted time looking for a photo booth or a photographer to get new pictures taken. Even the most minimalist of packers need to be organized. One of the simplest and easiest is to carry with you a pack of vacuum sealed storage bags. They are a great way of hiding away smelly dirty clothes until you have a chance to wash them. Also, they are a useful way of separating clothes to be worn in different climates. As the bags have a seal, the air can be squeezed out of them reducing the space they take up by up to a third. Another useful organization tool is packing cubes. They compartmentalize the space in your backpack, making it easier to find things. The interior of the backpack becomes more structured, allowing the traveler to create grab bags for such things as day to day items, or specialist clothing. Backpacking can take you to some very remote places, so when the sun goes down, you often can’t rely on the electricity supply. A head torch is essential. It can light your way in the jungle, and be a reading light, so you don’t disturb others in a dorm. 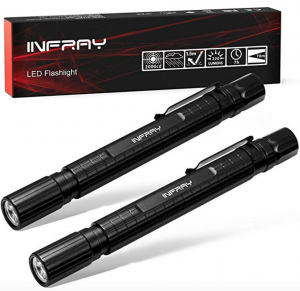 You can take a small travel torch with you if you need, but a head light can be much more versatile and leaves your hands free to do other things. You’ll need local currency wherever you travel. However there is one currency that can be used all over the world if you get in a jam, the US dollar. It’s a good insurance policy to stash a supply of $100 notes away somewhere in your backpack for an emergency. Unlike hotels, backpacking hostels rarely offer complimentary towels. A few loan for a small fee, but many leave the traveler to bring their own. In that case, you need a large towel that is designed to dry quickly. Travel towels are made to wick away water from the body effectively, and to dry out as soon as possible. They are also compact and will pack tightly and take up little space. When you’re backpacking around the world, the chances are you’ll be sleeping in hostels or maybe the homes of acquaintances. You’ll not have the luxury of a quiet hotel room. The last thing you want is to be woken at daybreak by a noisy cockerel, or not get to sleep because of the loud party next door, or the romantic couple in the next bunk. So don’t forget to pack at least one pair of silicone earplugs, and maybe a face mask too to keep out the light should you not want to be woken by a dorm light being switched on in the middle of the night. As we mentioned earlier nearly everyone carries a smartphone with them these days, and it really can be a lifesaver. Make sure the phone is not tied to a contract, so you can use local sim cards to make cheaper calls. Some smartphones on the market have what is called a ‘dual sim’ capability, allowing you to keep your original network sim card in the phone and install a local one for local calls. A multi-purpose tool can be worth its weight in gold. It can be just about anything and everything you need when on vacation traveling, a kitchen knife, and corkscrew, a bottle opener, a manicure set, a screwdriver, and even a hair trimmer. There are a number of different brands on the market, the most well known is probably the Victorinox brand famous for the Swiss Army knife. 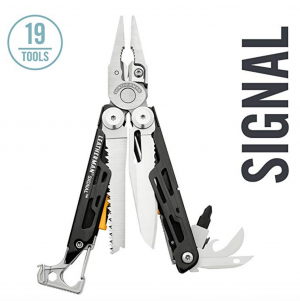 Don’t ignore other manufacturers such as Leatherman, who also make equally impressive products, as they may be more suited to your needs. A valuable watch or expensive jewelry are often the targets of thieves, so carrying them around with you when traveling just makes you a target, so leave them at home. If you’re backpacking around the world, there’s little chance you’ll need to get dolled up for a posh do. Traveling on a budget usually means staying with the locals, so try and blend in and not show off any ostentatious wealth with pricey bling. Taking a camera with you is a great idea, but all the extra gear such as zoom lenses, just adds excess weight and bulk to your pack. If you’re just taking photos as memories of your trip, then a regular camera will suffice, or you can even do without that and use the camera on your smartphone. The chances are you’re not going to be too far from civilization for an extended period of time, so pack just what toiletries you’ll need for a few days. Consider buying small sample sizes, and then stock up as you travel. Cotton clothes are usually soft and fluffy, and that causes a couple of problems. If the clothes are fluffy then they take up more space, and will also take longer to dry when you wash them or if they get wet in the rain. There are lots of modern fabrics available that are quick to dry and offer the same breathability as cotton. And only pack the clothes you will need. Denim jeans are a mainstay of everyone’s wardrobe, but they are a big drawback for the backpacking traveler. Jeans are very heavy; they take up a lot of space and take an age to dry. A good pair of jeans can last days before they need to be washed, and are both fashionable and durable, and as everyone wears them, you won’t look like a tourist wearing them. There is always the temptation to pack a good pair of shoes just in case you’ll be invited somewhere, and you have to look nice. Take the word of many experienced backpackers who say a pair of well-chosen sneakers will do just as well, and not take up space in the bottom of your bag. A good pair of sneakers will be comfortable to walk in, and stylish enough for any event you have to attend. Unless you are going on a hiking holiday, there is no need to take hiking boots with you. Most places you will be walking regular sports shoes or lightweight walking shoes will suffice. Hiking boots are bulky and heavy, and who wants to cart an unwieldy pair of boots around for maybe only a day’s use during the vacation. It’s not as if you’re going to walk around tourist attractions or a city wearing your hiking boots. You should only need one jacket for your trip. Don’t pack anything heavy and insulating unless you are going somewhere where the weather is truly cold. The art of dressing for different climates is layering, and that will also keep your backpack a lot lighter. As outerwear, a lightweight waterproof windbreaker should be enough. At home, we love to luxuriate in soft fluffy towels, but when traveling they’re just too big and bulky for the backpacker. Smaller travel towels can do the job just as well as they are super absorbent, and are often made with microfiber. There was a time where you would see backpacking tourists aimlessly wandering around a city with a guidebook in their hand figuring out where to go. Printed books are heavy, and with most guide books, you’re never going to use it all. You can either copy the pages you will need, and carry them, or download a pdf of the book to your smartphone or mobile device. If you’ve got a data plan or can get free WiFi, then a simple Google search may give you all the information you really need. There is no use packing a library of books for the vacation, as you are going to have to carry all that weight around so that you can while some time away on a train or bus journey. If you have to pack a book, then make it just one. Better still, consider downloading books to a Kindle or other reading device. You can have a huge library with you digitally, without burdening yourself down with heavy tomes. I like to have a library of audiobooks on my smartphone for these times. I can watch what’s going on around me and still ‘read’ a book at the same time. Honestly, the chances of you using it are pretty remote. If you need a pillow when traveling, all the airlines and most train operators provide them for free. A travel pillow can be bulky and inconvenient if you have to keep blowing it up every time you want to use it. We’ve talked about the gadgets that make traveling more comfortable, but don’t go overboard and add to it with electric toothbrushes, or DVD players. Also, consider only taking devices that can be charged through a USB. You can get USB charging adaptors that can charge multiple devices at the same time through the one socket. If you are considering packing something on the off-chance something might happen, then don’t. The situation is not likely to arise when you will need the item, that’s almost certain. If you really need something then buy it at your destination. You have to be going to some pretty remote places if you can’t get the necessities of living in the area you are visiting. Buying things at your destination is a great way to interact with the locals, learn a little of their language, and experience life as they do. As a final thought, pack for your destination and don’t pack anything you are not 100% sure you will use. Try and pack the personal things, and leave buying products until you get where you’re going.